In honor of the 4 year Blog-i-versary of Spotofteadesigns.com, I thought it’d be fun to look back at the highlights that happened over the past four years! To celebrate I’m also offering up a giveaway to my lovely readers. Fact: during this first year, I chose to only focus my creative projects and graphic designs, so you won’t find any faces or that many names listed on these pages. October 30th, 2011 – Spotofteadesigns.com Turns One! I created two series which are still running today. I began challenging my readers with Use Your Stash Challenges to use products already in their homes but in new ways, and Handmade with Love, which shows all the awesome handmade items I’ve received from family and friends. I became an aunt for the first time and thus began the first posts mentioning anything about kids! This was the year of the weddings! I was a bridesmaid for my friend Vanessa, Maid of Honor for my bestie Allie, and got married in September! Many of my posts focused on the bridal showers I helped throw, DIY gifts given, and DIY Wedding crafts. The night before we went to Hawaii, Derek came home with a Canon Rebel camera dramatically transforming many of the photos shown on my site. October 30th, 2012 – Spotofteadesigns.com Turns Two! We not only welcomed our beautiful baby girl, but also became an aunt again – twice, from both sides of our family! Much of the year was focused on baby crafts for my little one and her pink, white and grey nursery. I added Parenting as a monthly topic, sharing my perspective as a first time mom. October 30th, 2013 – Spotofteadesigns.com Turns Three! With a little one at home and less time to be creative, I welcomed more guests posts from creative friends, even adding a “contributors” section to highlight those who share often. 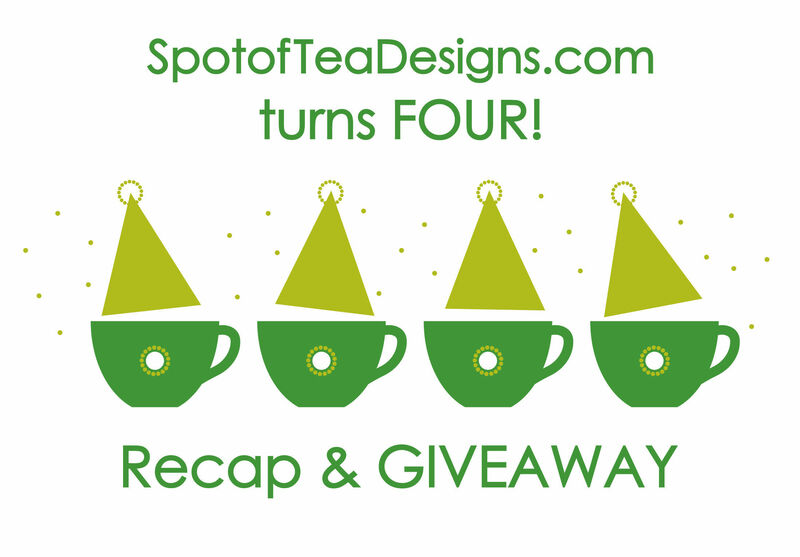 October 30th, 2014 – Spotofteadesigns.com Turns Four! This year I hope to bring you more inspiring tutorials and more awesome giveaways with brilliant brands. I want to try some new crafting techniques that I’ve had my eye on, including Freezer Stenciling, Glass Etching, String Art, and a Furniture Makeover. To celebrate I thought it was only appropriate to provide a gift for my lovely readers! 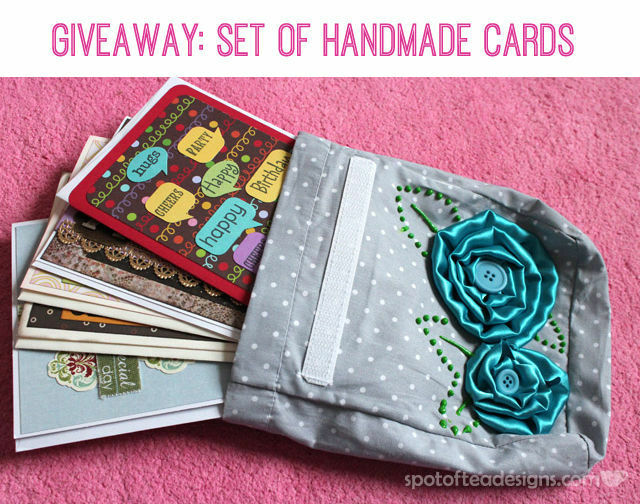 Since the basis of the blog was the papercrafted projects I made, I’ve put together an assortment of handmade cards (in this DIY fabric bag) for one lucky winner! You’ll find one of these, these and these in the collection along with a few other goodies not shared online! Tara, I absolutely love all the ideas, pictures, and crafts you post about. I wish I had more time to put them to use. I would love to see more of organizing crafts. My life is always so busy and messy, I would really enjoy seeing things used to help organize. Happy 4 years! I would love to see more posts about craft ideas i just bought a silhouette machine. I would love to see more posts about holiday decorating ideas and craft project to do.